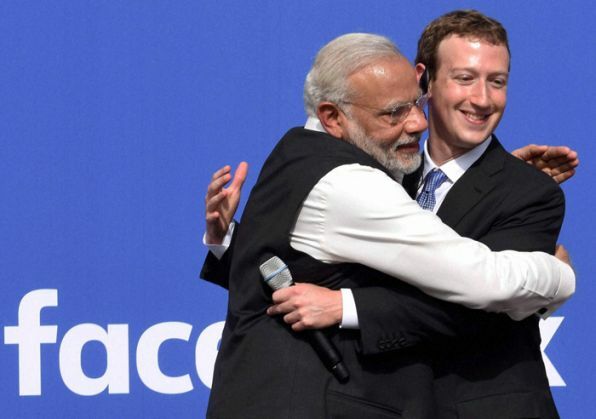 As Prime Minister Narendra Modi heads back from his trip to the United States, the fallout from his bromance with Facebook CEO Mark Zuckerberg continues. I wrote a story yesterday on how your tricolor Facebook profile photos backing Digital India will also be taken as a mark of your support for Zuckerberg's infamous Internet.org - 'Free Basics' service. This was uncovered within the code for the profile picture. After publishing the article, I received quite some flak for criticising Zuckerberg and for doubting the seemingly noble intentions behind the clamour of support for Digital India. As did other platforms like Next Big What, the blog that uncovered the code. We were told we jumped the gun on the issue and that we unfairly targeted Facebook. I have been bombarded by articles such as this one by Huffington Post India, titled "Changing Facebook DP Into Digital India Tricolour Doesn't Automatically Pledge Your Support For Internet.org". In the article, a Facebook representative says, "There is absolutely no connection between updating your profile picture for digital India and Internet.org. An engineer mistakenly used the words 'Internet.org profile picture' as a shorthand name he chose for part of the code. But this product in no way connects to or registers support for Internet.org. We are changing the code today to eliminate any confusion." While Facebook seems to have gone out of its way to both clarify the confusion and make public its intention to change the code, it goes without saying that there would have been no media outrage had the social networking giant refrained from using the words 'Internet.org' in the code in the first place. Where's my choice to say "No"? Could Facebook really not find any alternatives for the words 'Internet.org' from the ever-expanding English language? This deliberate choice of words is very telling about the way Facebook is going about garnering support for their now rebranded, 'Free basics' service. Journalists like me may receive bricks and bats for going after Facebook, but it is not without reason. Like I said before, Facebook gives its users two options to gauge their thoughts about Internet.org - a simple "Yes, I'm in" or a "No, not now." This debacle seems to prove that Internet.org is an almost inevitable future. Whether I like it, or not. After all, my views are just another small voice in a sea of billion Facebook users waiting to sign up using Internet.org. And in the light of that, Facebook is going to pull out all the stops to get you on board with the idea.